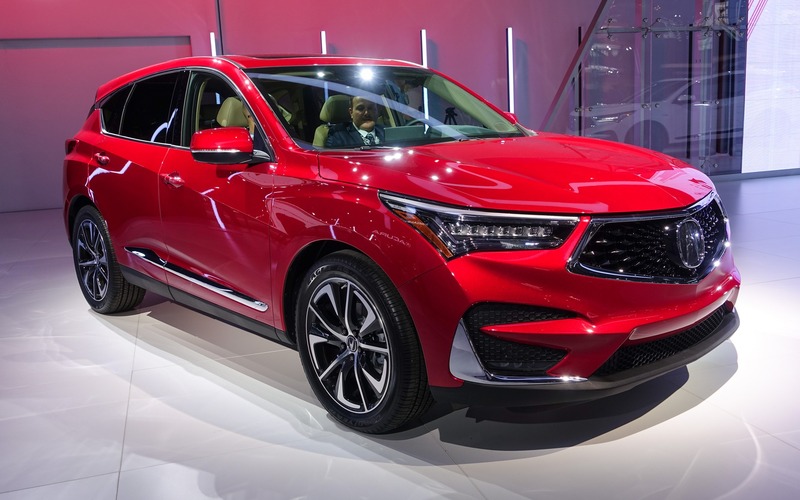 The production version of the Acura RDX luxury midsize SUV, whose virtually identical prototype was seen at the Detroit Motor Show in January, has just been unveiled in nearly simultaneous premieres at the New York and Vancouver Auto Shows. The RDX is built on a brand-new architecture. The unibody design is made of more than 50% high-resistance steel. With a wheelbase that is 66 mm longer, it is roomier than its predecessor and should end up being more stable and more comfortable. The RDX is now powered exclusively by a turbocharged, 2.0-litre four-cylinder with direct injection and fully variable valve timing. It produces 272 horsepower and 280 lb.-ft. of torque, and is paired with a 10-speed automatic gearbox—a first in its class—and all-wheel drive (SH-AWD) capable of sending up to 70% of the torque to the rear wheels and up to 100% to the right or left wheel, depending on conditions. The four-wheel independent suspension—front MacPherson struts and rear multilink—can come with optional adjustable dampers. The sporty A-Spec versions of the RDX also get 20-inch alloy rims fitted with P255/45R20 performance tires, LED fog lights, big twin exhaust tips and A-Spec logos on the front fenders and rear hatch, in addition to a host of cosmetic touches. In the cabin, there’s a floating central console and a big dial with which you can select one of four available driving modes (Snow, Comfort, Sport and Sport +) as in the NSX sports car. The RDX also features a brand-new 10.2-inch touchscreen installed above the central console. Its slightly concave surface makes it easier to use without taking your eyes off the road—in theory, at least. 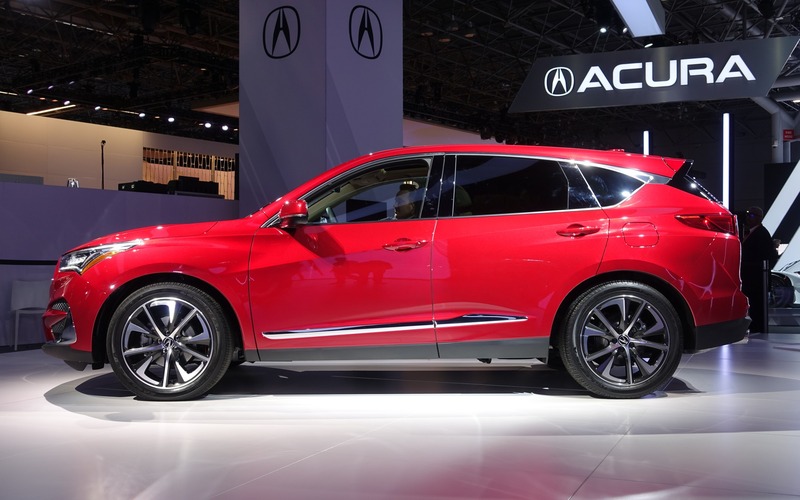 The 2019 RDX includes other firsts for Acura, such as more intuitive natural language voice recognition for, among other things, an optional navigation system with 10.5-inch colour head-up display.